For their initial foray into 1/48 military vehicles, Bronco has picked a nice one. 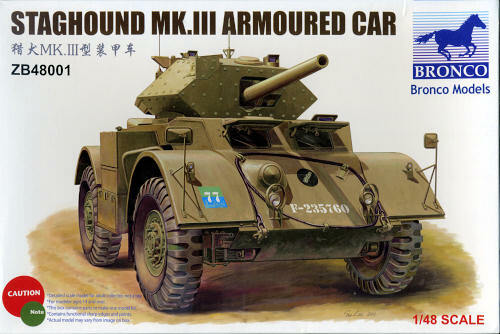 The Staghound has been, in my opinion, one of the better looking armored cars developed during WWII. 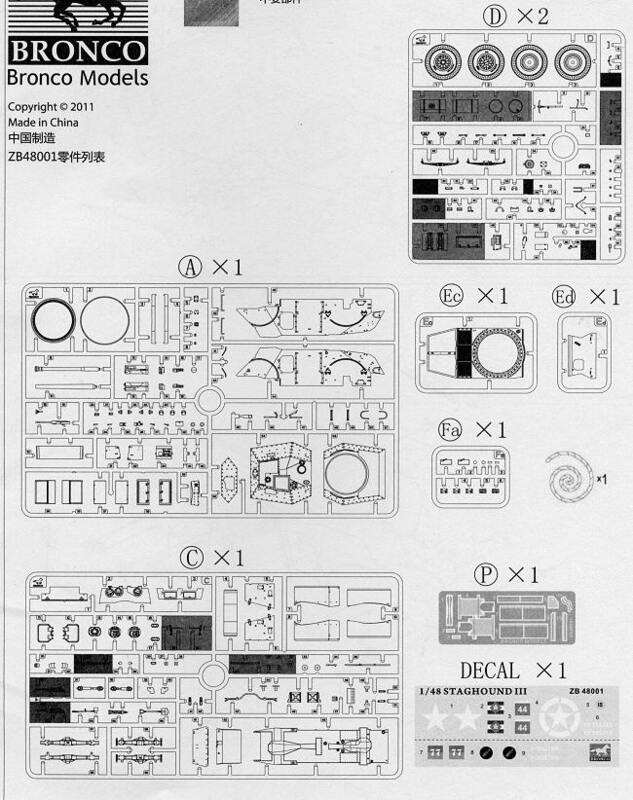 One does not get shorted in terms of parts as this is not a Tamiya quick build kit. Some f the pieces are quite small, so care will need to be taken during construction. The main hull is built up from a floor section, two sides, front and rear piece. This is a curb side with no interior, though the space is there for the aftermarket folks. The kit does come with a full gun and you will be able to see the breech with the turret hatches open. There is room for figures in the hatches should you wish to install one from an aftermarket set. Instructions are well done with a variety of paint brands in the color chart. 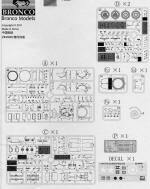 The paper for these instructions are not the usual slick paper of some kits, but more like what one gets with Revell AG kits. Markings are for two very similar vehicles. One with the 12th Manitoba Dragoons with the 2nd Canadian Corps in Germany during 1945. This has white stars on it. The other is an Italy based unit, the 2nd New Zealand Infantry Division, also in 1945 and shown on the box art. Both are in overall SCC British Olive Drab #15. The small decal sheet is well printed and provides what few markings these vehicles used.